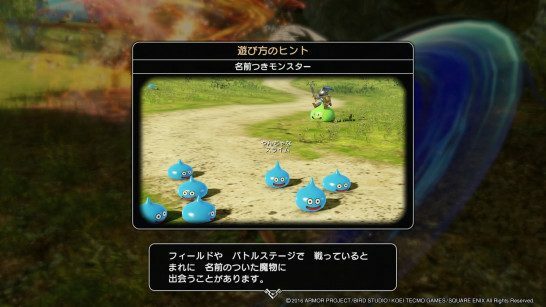 This page contains a full walkthrough for the Main Quest Greena Pastures in Dragon Quest Heroes 2, including enemies, objectives and strategy. When you reach the field, head north along the road. 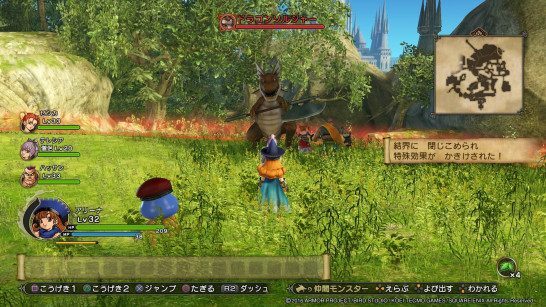 On you way, you will encounter a traveling merchant (Torneko) where a cutscene will play. You’ll need to defeat some enemies here. Once you’ve defeated the enemies, Torneko will join your party. Head to stone monument in the east forest. At the end of the quest, head to Zebion. 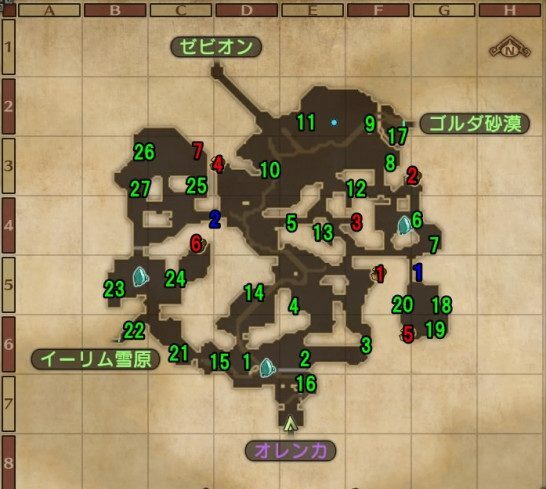 The big tree in the area for Treasure Box 1 (blue marker) will open when Hassan joins your party. You may proceed to the area to get to Treasure Box 2 (blue marker) after defeating the Arch Demon. 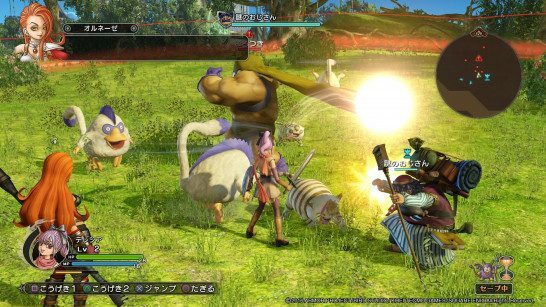 You can easily defeat them if you take out the monsters with ranged attacks first. Then, focus your attacks on the Hood. Hood hide in bushes, but you can attack them while hiding. If you catch them by surprise, they can easily be dealt with. This enemy is weak to thunder and will be very easy to defeat one you hit it with the element. The Tyrantosaurus is a formidable enemy and is quite similar to deal with as Battlerex. It has high HP and attack power, so it is recommended that you reach at least level 25 before engaging it. 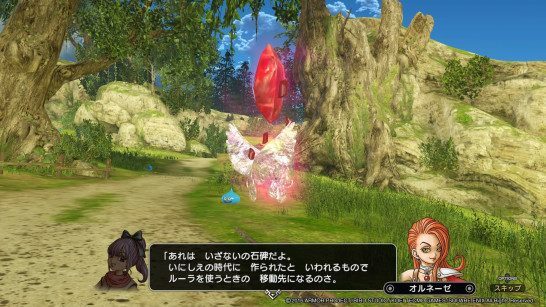 Outside of combat (exploration), HP and MP will gradually replenish while the former won’t in combat. You will automatically wield your weapon when engaging combat with enemies, or if you are attacked. 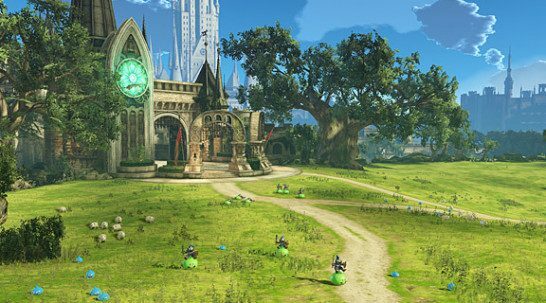 The weapons are automatically put away if there are no enemies in the area. You can dash by pressing the R2 button while wielding weapons. The Stone Monuments allow you to warp to other areas using a Ruler Stone. 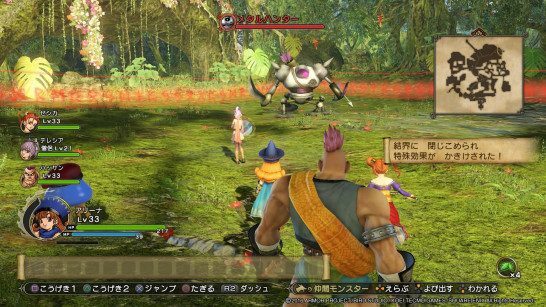 You will occasionally encounter Named Monsters in the game. These are stronger than their regular relatives. They may drop rare items as well as yield more EXP when you defeat them.